Use a tulip glass. Thanks to its wide bowl and narrow neck, the tulip glass concentrates Cognac’s nose and allows you to best appreciate the spirit’s subtlety and layers of aromatic complexity. The glass is also easy to hold and is great for admiring color. Don’t warm a Cognac or any fine wine or spirit too much or you will accentuate the alcohol, not the aromas. Swirl Cognac gently. 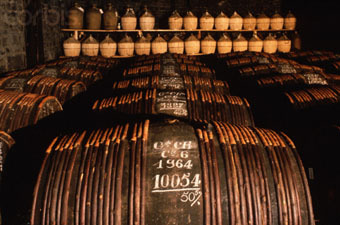 Cognac is packed with aromas and needs less oxygen than wine for the aromas to reach your senses. Take a sip. Keep the spirit in your mouth for 2 or 3 seconds before you swallow. Wait 45 seconds. You’ll experience the fullest range of flavors and aromas from about 45 to 90 seconds after sipping. Honeyed, caramel-like, oily bouquet. At palate entry, tastes of dates, roasted almond, walnut paste and baked pear delight; the midpalate highlights the cheese-like and bacony rancio. The aftertaste blankets the tongue in sumptuous coats of oil, rancio and maple sugar. Lovely, fruity nose. Round and rich on the palate, some underlying wood. Markedly Folle Blanche, floral, touch of geranium, candied orange and broom. Very fruity, angelica and raisin, perfectly balanced, round. Good character rarely found in a cognac of this age. Winner Silver Medal, Brussels 2001, Silver Trophy Olympiades Vinexpo 2001. Refreshing floral nose, good length and no burn. Three and a half years in the making, blended using women's palates. 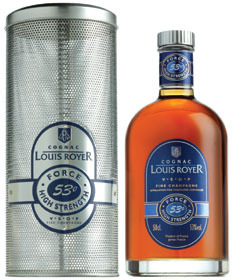 An ultra-luxury cognac, with no aggressive notes of wood or tobacco present. Exotic notes of buttered caramel, cocoa, rich brown spices, and a touch of pink peppercorn flavors, rounded out by an amazingly smooth and silky finish. International Review of Spirits Award Silver Medal. Lustrous amber color. Rich honeyed raisin, chocolate covered nut and fig aromas with a rich fruity full body and a long, vibrant and spicy, leather, mocha and cigar box accented finish. 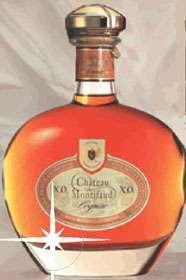 A fantastic VSOP that will shine in cocktails or snifters especially on the rocks. Complex and powerful characters with delicate and fine aromas. Vanilla and spicy scents. Fragrant orange marmalade, vanilla bean, flint, and brown spice aromas. A soft supple entry leads to a rich, dry, yet fruity full-bodied palate, with vibrant peppery spices, caramel, and ashy minerals. Finishes with a long charred wood, dried apple, toffee, and white pepper fade. Elegant and supple with a great combination of fruitiness, peppery spice, and terroir-like minerality. International Review of Spirits Award 2006 Gold Medal (Rated 93 points, Exceptional). Rich, sweet aromas of toffee, smoky brown spices, cedar, and sandalwood. A lush entry leads to an intensely rich fruity full-bodied palate with vibrant dried fruits, toffee, and lavish brown spices. Finishes with long spicy, raisin, and dark caramel, and pepper flavors. 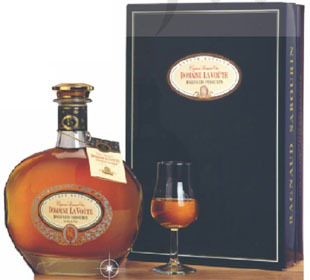 A rich super-smooth Cognac with deep flavor and Christmas cake spiciness. International Review of Spirits Award Platinum Medal (Rated 97 points, Superlative). Exceptional aroma of dry fruit & nuts (grilled almonds), "rancio" apparent, as it should be in cognac this age, with hints of spices. Very fresh, little tannin, exceptionally smooth and long. International Review of Spirits Award Gold Medal (Rated 94 points, Exceptional).